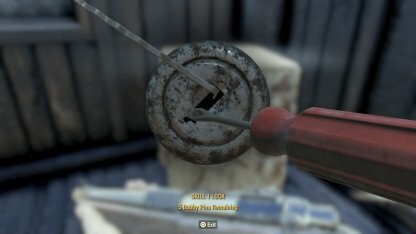 Learn how to successfully lockpick in Fallout 76! 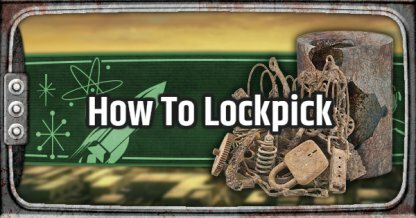 Learn how to find successfully pick locks, increase the chances of lockpicking where to get Bobby Pins, & more! Locked items have a level. In order for you to start picking at them, your lockpicking level must be the same or at least higher than the locked item's level. 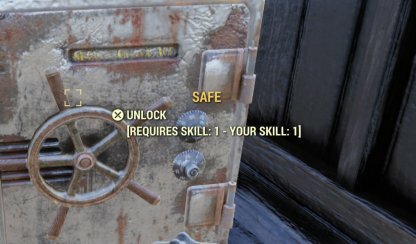 Besides having a good enough level to lockpick, you will also need to have some Bobby Pins in your inventory to start lockpicking these safes, chests, and more. When you start, the Bobby Pin's angle will be facing straight up. With your left stick, adjust the Bobby Pin to an angle that will allow the screwdriver to turn the lock all the way. 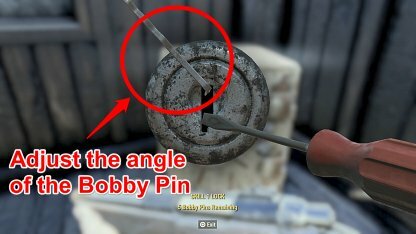 If your Bobby Pin's angle is within the sweet spot, it will allow you to turn the screwdriver with the right stick all the way until it unlocks the safe. When the Bobby Pin starts to shake, the screwdriver will not be able to turn anymore. This means that the angle is wrong. Stop rotating the screwdriver, move the Bobby Pin's angle to a new location, and try again. Getting the Picklock Perk Card will give you a +1 in lockpicking and will increase the size of the "sweet spot" when you're lockpicking. This will give you a bit more breathing space as you are allowed to commit more mistakes. Remember that the Bobby Pin can and will break if you've made several errors. This is why you should be very careful when rotating locks. 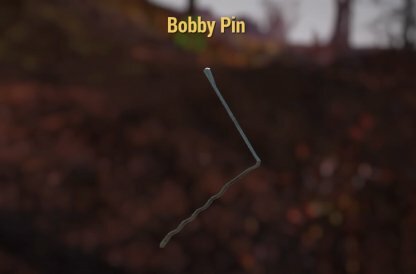 If you run out of Bobby Pins, while lockpicking, you will also run out of attempts!